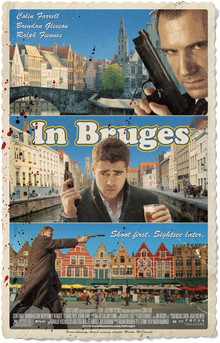 Although I wrote a negative review for Three Billboards Outside Ebbing, Missouri (2017) earlier this year, a much better film which the acclaimed writer/director Martin McDonagh was involved with was In Bruges (2008), which is currently available on Netflix. The film is the epitome of what a dark comedy should be, and stars Colin Farrell and Brendan Gleeson, both in top form as two Irish hitmen in hiding, with Ralph Fiennes as their tyrannical boss. Gleeson, in particular, launches himself onto the international acting scene with his exceptionally fine performance set in the history town in Belgium.